The EC drives program innovations and pilots to scale that advance electric mobility including Drive Electric Orlando (DEO). 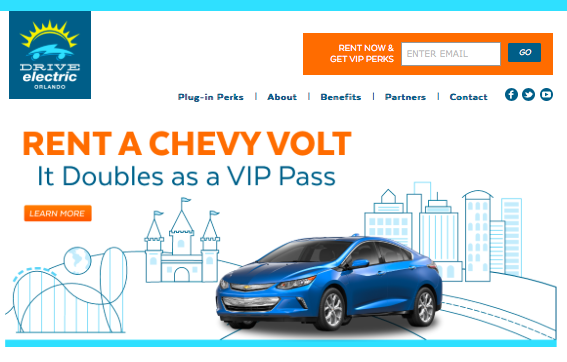 DEO is a partnership between the Electrification Coalition, federal and local governments, Orlando rental car companies, hotels, and visitors centers. The program integrates electric vehicles in an extended test drive application and provides a VIP experience for all renters. Welcome to the Orlando VIP Experience! This brochure details the perks associated with Drive Electric Orlando. A short-term rental is a fun, easy and low-pressure way for people to test-drive an electric car. This document is a rental car checklist for Drive Electric Orlando.